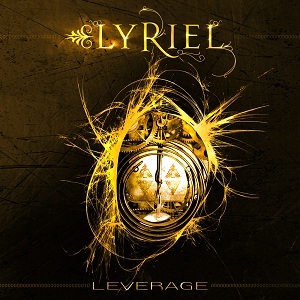 "Leverage" is the fourth album from German band Lyriel. I must admit that despite being a fan of female fronted rock and metal, I hadnt heard anything by Lyriel before now. One listen to the album quickly convinced me I've been missing out in a big way - this is really impressive stuff. There are strong folk influences in the music and there is also a strong celtic feel to it. Singer Jessica Thierjung has a lovely voice which is used to great effect in these songs, and the use of Cello and Violins adds an extra richness to the music as well as giving it more atmosphere. At times the album really reminds me strongly of the latest Nightwish album, which can't be bad ! The Intro doesnt really work for me - it adds nothing to the album, and to be honest is a track I've already taken to skipping past. The sound of a clock ticking with what sounds like string instruments tuning up in the background while someone counts frown from 10 to 0 just sounds poor in my opinion. It doesnt flow with the next song, nor does it really build up the atmosphere, so I'm really not keen on this. "Wenn dir engel fallen" is a duet between Jessica Thierjung and Schandmaul vocalist Thomas Lindner. Jessica's beautiful angelic style vocals perfectly with the rougher sounding vocals of Thomas Lindner. I can't comment on the lyrics as I dont speak German - although the title is pretty easy to work out - When the angel falls. Although I dont understand the lyrics it's still easy to enjoy this lovely song. "White lily" is the first track that most people will hear as its been posted by the band and record label on facebook. It's a good choice - its a great song with lovely vocals, a nice tune and a really polished feel to it. The album has some songs in English and some in German. The music is very varied, but is consistently very good. My main criticism of the album is the length - or lack of it. Clocking in at just 34 minutes, this is a disappointingly short album. I have to say this is a fantastic album. It's so good I've already ordered their previous album. If you're a fan of the latest Nightwish album (Imaginaerum), then I suggest you check this album out as I think you'll love it. "Leverage" will be released on 24th February through AFM records.